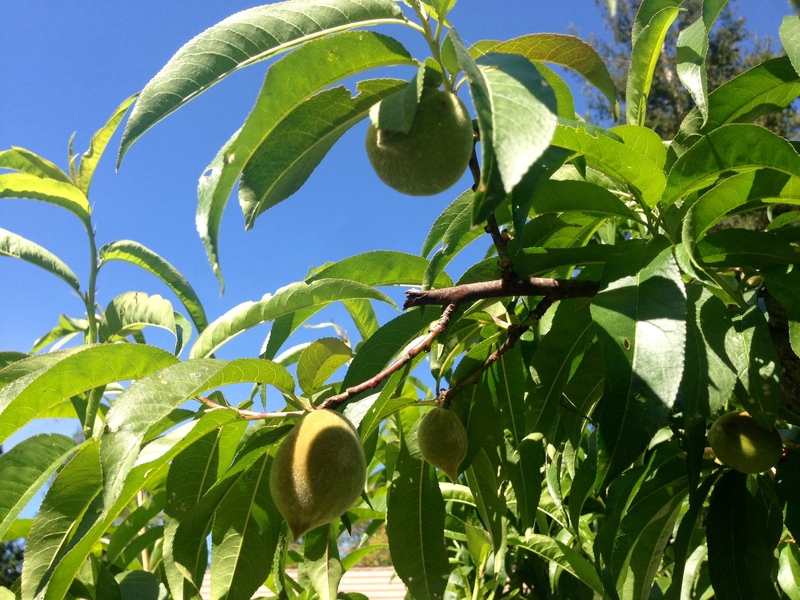 Here’s a before and after picture of a spot I thinned on my peach tree. Today, it was nice to spend a few hours picking out starts and getting them planted. Because we are in a severe drought, I decided only to plant my one existing garden bed that I used during winter. I planted three varieties of heirloom tomatoes, arugula, cilantro, parsley, and lime-basil. Here’s a picture of my cute, little starts. Two tomato plants are on the far left row, my lime-basil is in the second row, along with another tomato plant. 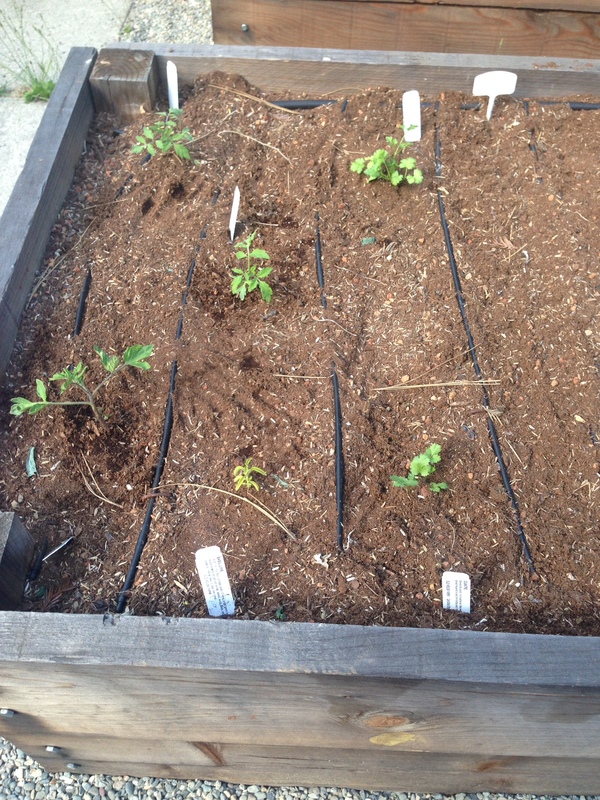 The third row has cilantro and parsley, and the forth row has my first planting of arugula seeds. I’ve decided to try some succession planting, which means I’m staggering the days I plant the arugula seeds so it all doesn’t come up at once. I hope to get Japanese cucumbers, sorrel, and carrots planted next week. 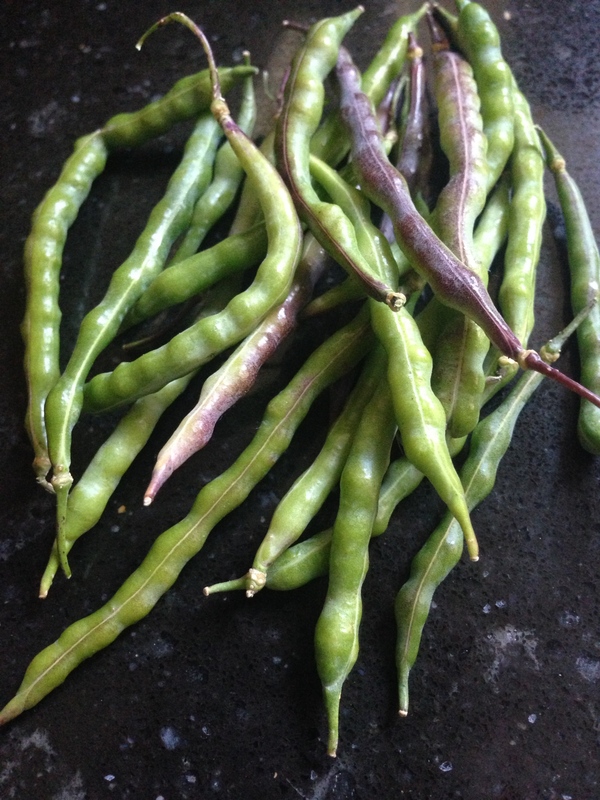 I picked these seed pods from one of my winter kale plants so I can learn how to start saving seeds. Here’s some of the pods I collected. 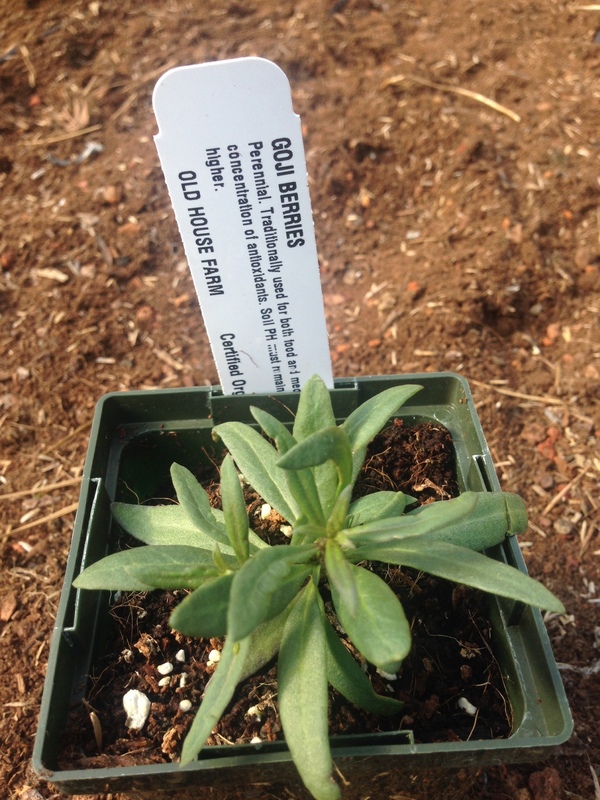 I am also very excited to get this goji berry bush planted, I LOVE goji berries!!! I will have to be patient since it takes about two years before I’ll get to eat any of these antioxidant pack berries. 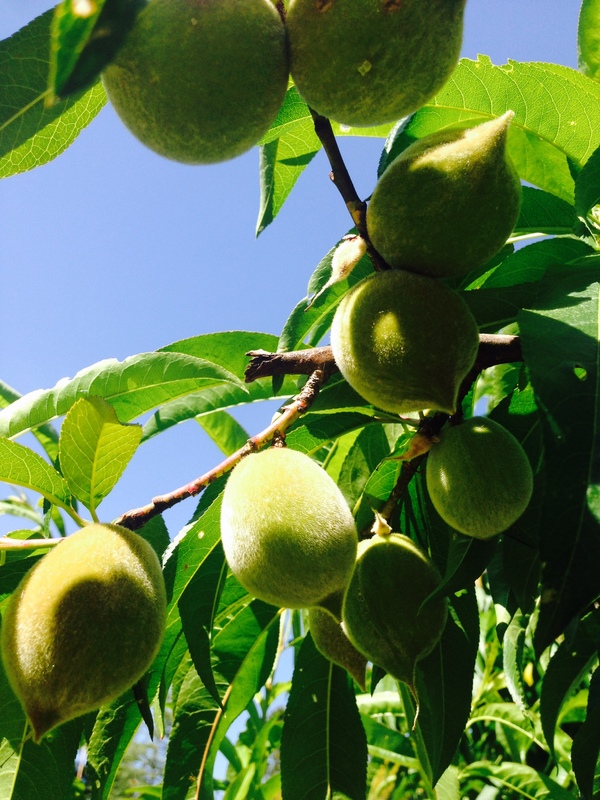 What’s happening around your house this spring?